The solar powered fountain option for your decorative fountain needs. 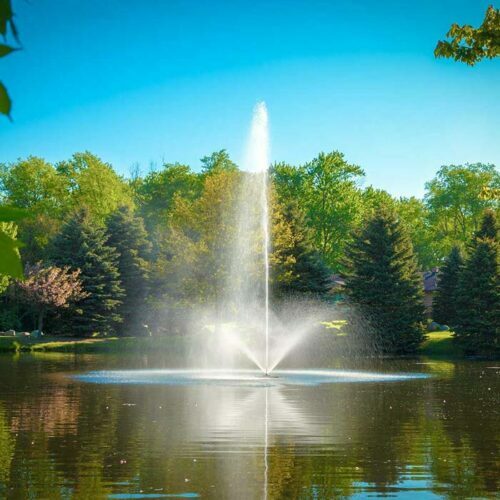 We at Midwestponds.com are proud unveil a new line of 100% solar powered decorative fountains. 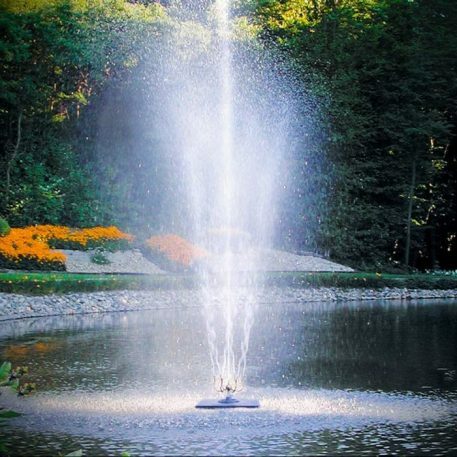 These fountains have all the performance of normal powered units without the need for external electricity. These units operate with variable speed motors which utilize all of the available light to give you optimum use of the sunlight on any given day. 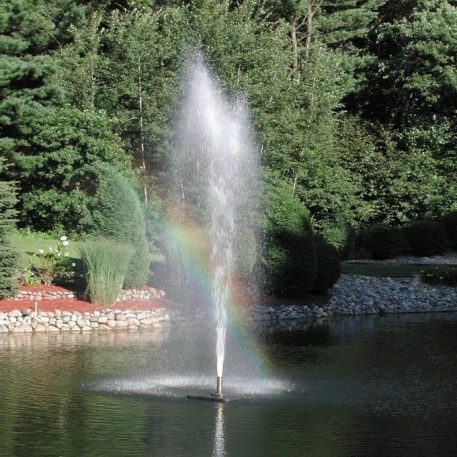 These are the best solar powered fountains on the market! Please scroll down for descriptions of each pattern…. These solar powered units are a truly GREEN option for your pond. All of the power and majesty of the full powered units, none of the running cost. 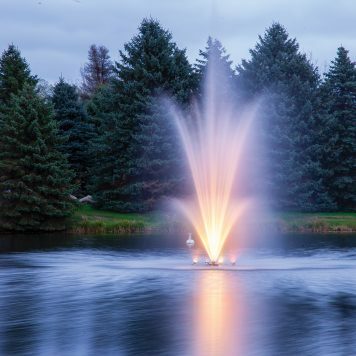 These fountains operate from dawn to dusk and have no need for expensive batteries. As a Scott Aerator Co. product, these units are constructed from stainless steel, are oil-free, and have a 5 year motor warranty; making them a truly eco-friendly option and virtually maintenance free. 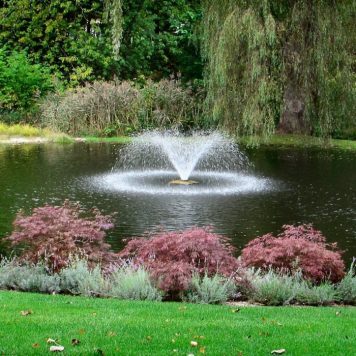 There is no need to winterize or remove these fountains during the winter months. Simply unhook the units from the solar panels and wait for spring. All components are durable and can handle sub-zero temps. This easy to install system comes complete with the pattern of your choice, power unit, four solar panels with frame, disconnect box, Fhoton™ drive solar inverter, and all required wiring components. Components NOT included: pole for mounting of the panels and frame, concrete for the footing, and anchor ropes with weights. As with all Scott products, they are manufactured and assembled in the USA. All units start with 70ft of underwater cable with lengths available out to 150ft. 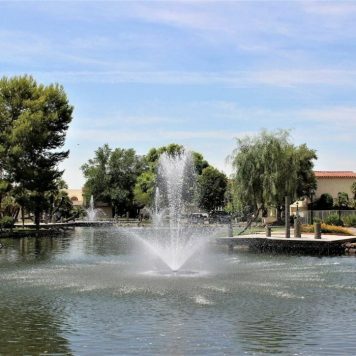 These solar powered, green fountains are designed to handle both fresh and salt water environments. The center nozzle of the Clover sprays up to 18 feet, and it’s surrounded by separate side nozzles that project water more than 28 feet at a 45-degree angle. The Gusher pattern creates a wind-resistant foamy vertical column of water. 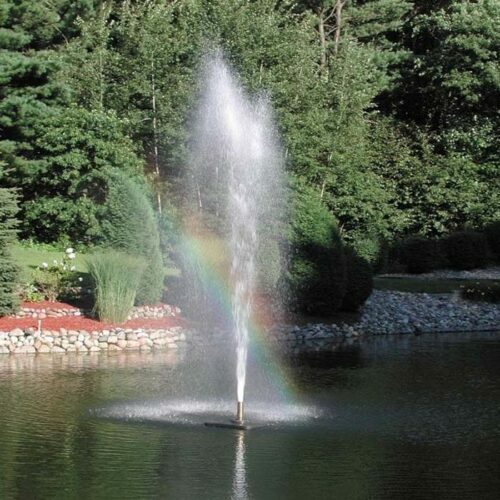 A classic geyser look that is one og our most popular fountains. 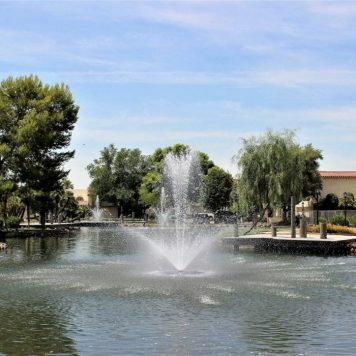 The solar powered Gusher propels water 12ft high. The eco-friendly Solar Skyward fountain produces with a wide, cone of spray, surrounding a tall, central geyser. 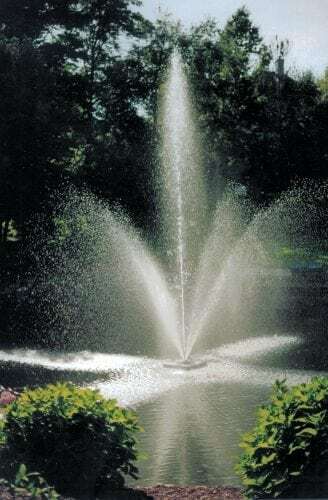 The brass, precision-machined nozzle can be easily adjusted for height, making these fountains ideal for commercial and residential applications. 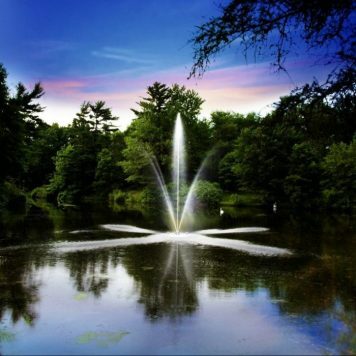 The center geyser of the Skyward reaches up to 18 feet. The side jets of the Skyward expands to 30 feet around. The Green powered Twirling Waters fountain. This SPINNING fountain pattern creates moving jets. The pattern spirals strands of water upwards of 18 feet (13′ width), creating unique and graceful scene.